Check-in: 9:00 a.m. Shotgun Start: 10 a.m. The cost is $100 per golfer ($400 for a foursome) or $500 for a foursome with a hole sponsorship. There is also a dinner only ticket for $25. Registration includes a round of 18 holes of golf, golf cart, lunch and dinner, and a registration gift. Click here to download the golf outing brochure. Are you unable to participate in the scramble, but would still like to support the NIU Women’s Basketball program? There are several sponsorship opportunities available, or you can donate by clicking the button below! 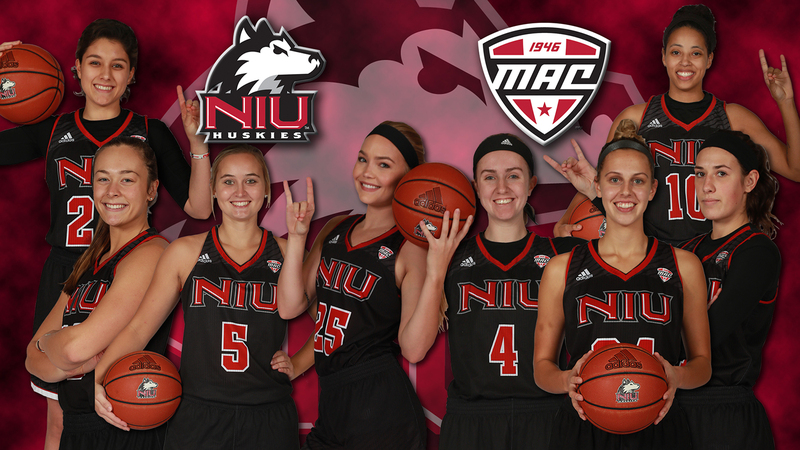 Donate to NIU Women's Basketball Today!!! NOTE: Please email Maria Kasza with a personal message or corporate logo to be put on signs at the event. Click here to download the golf outing sponsorship form. "As we continue to build momentum within our program, we would like to invite you to join us at our Huskie Women’s Basketball golf outing. Much of the proceeds will help support us hosting our first game in the preseason WNIT right here at the Convocation Center in November. My staff, our student-athletes, and I look forward to a fun filled day of golf, socializing and fundraising as we continue to strive to set the bar of excellence in the MAC. #GOHUSKIES!" Check-in: 9 a.m. - 9:45 a.m.
Dinner: starting around 4 p.m.